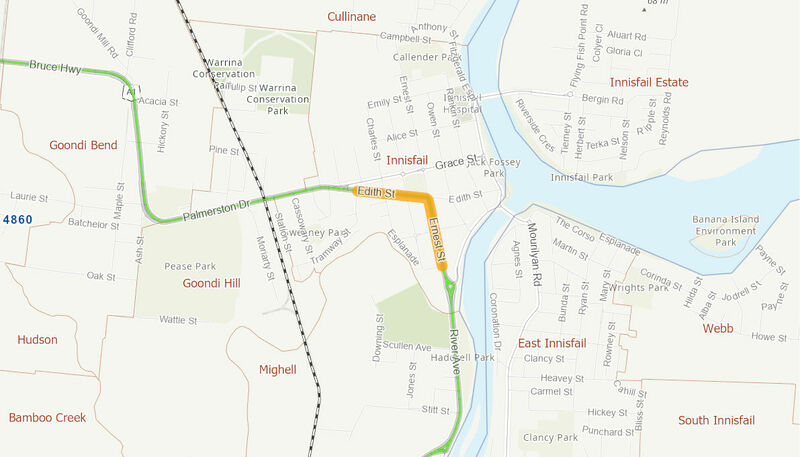 Planning and preservation of an 8km long corridor for a future bypass of Innisfail so that the safety and efficiency of the Bruce Highway can be maintained in the medium to long term. Improved capacity, efficiency, flood immunity, safety, amenity on the Bruce Highway. The Australian Government has committed up to $7.2 million towards the project in partnership with the Queensland Government. Start and end dates to be confirmed by the Queensland Government.